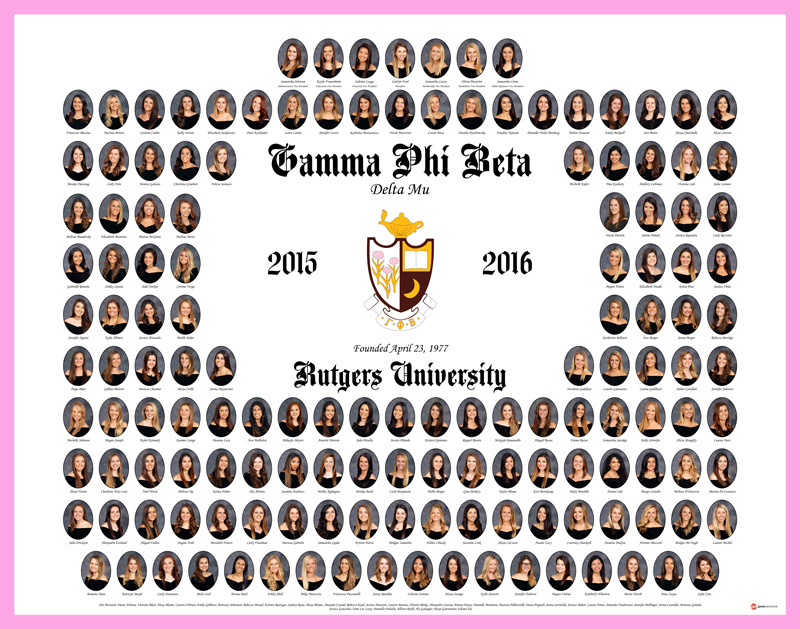 Sorority composites are an honored tradition for organizations nationwide. 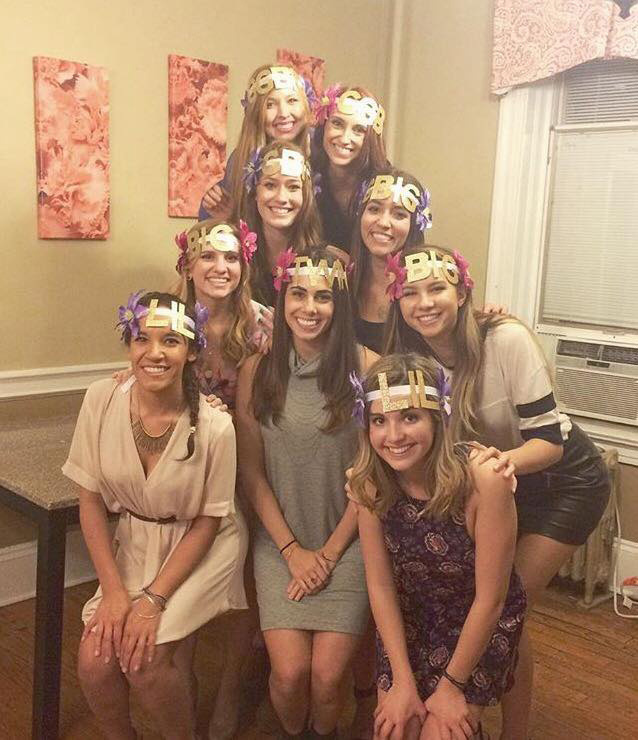 Sororities create them year after year to document their organization’s history and growth. We wanted to sit down with some of our customers to find out their thoughts and experiences about creating their own chapter’s composites. So, who better to speak with than some of our favorite sorority composite chairs! First, we wanted to find out what goes into planning a composite photo shoot and what steps are involved. 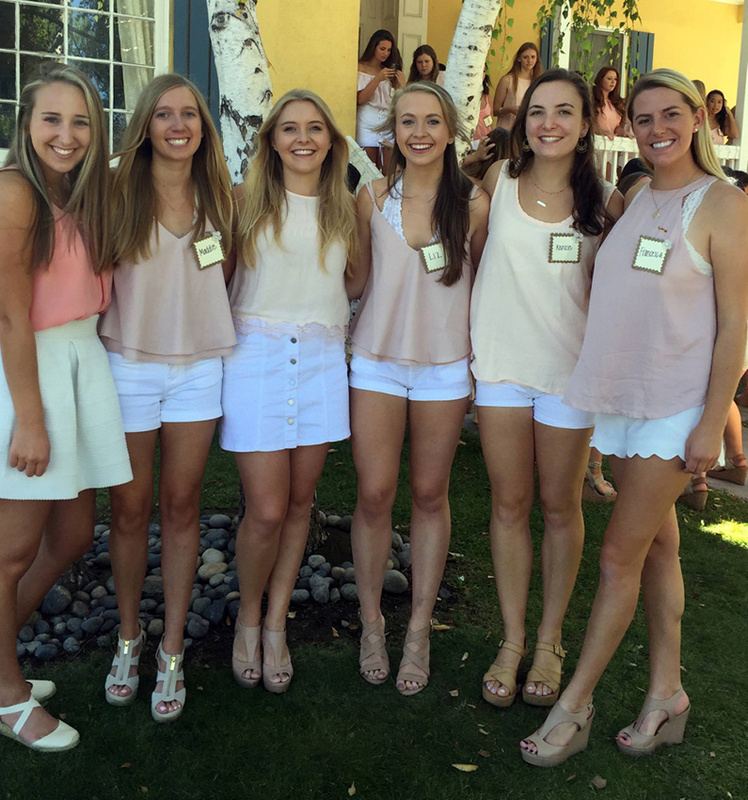 Simona, from Alpha Phi at California State University – East Bay, said that they “find a day far in advance where we don’t have an event going on.” They use a website called My Chapter Room which includes their chapter calendar and then a sign-up sheet is created with a time slot for each girl. 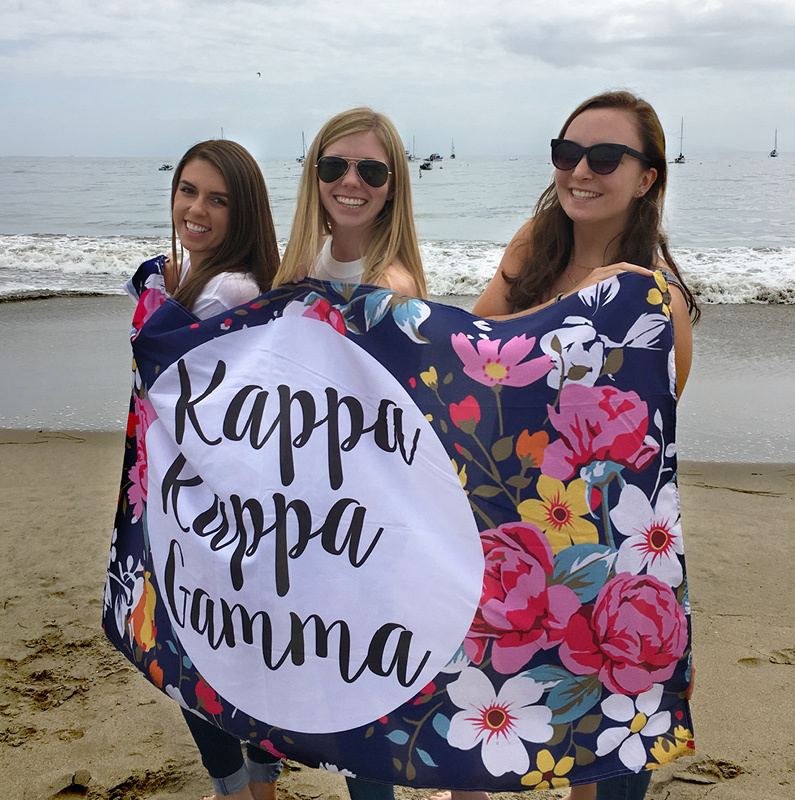 Kenzie, from Kappa Kappa Gamma at Santa Clara University discussed how they complete their composites around the same time as officer transitions, so the previous composite chair schedules the shoot and then the current composite chair takes it from there. She also mentioned that getting everything done for the sorority composite photo shoot early is super important; especially for the seniors who are graduating. They always want to make sure the individual composites are handed out before seniors graduate. 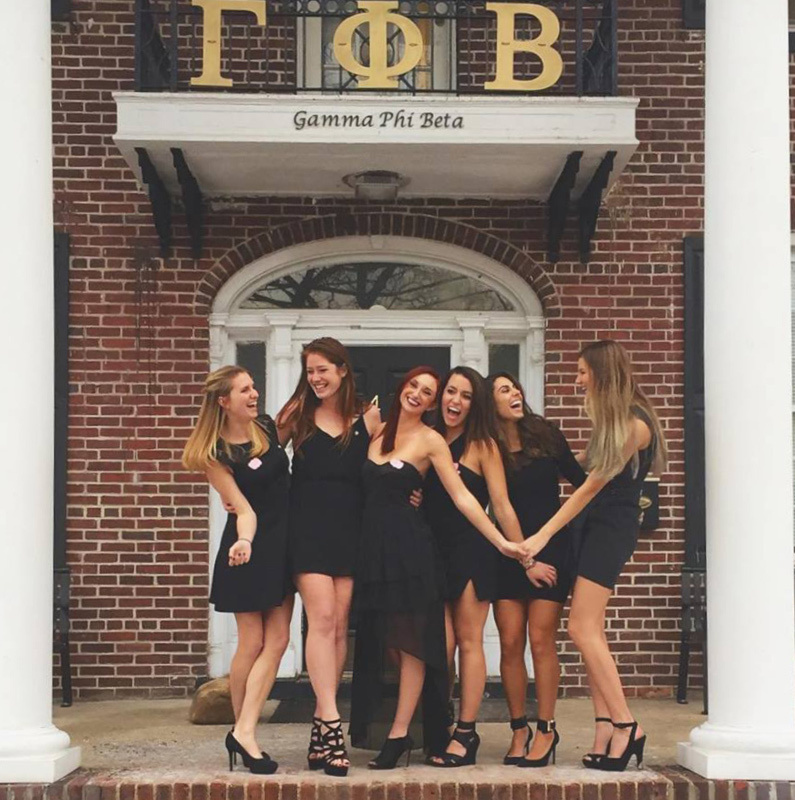 Amber from Gamma Phi Beta at Rutgers University also uses surveys to see when everyone is free. They then pick a date for the shoot based off of the survey results. Usually, they don’t need a makeup date but this year they did. We gathered stories and details about the photo shoot experience and how each chapter made it fun and memorable. Kenzie said that their chapter house is very close to campus which makes getting to the sorority composite shoot easy for each member. “GreekYearbook makes the actual photoshoot very easy and sets everything up. This past photo shoot the photographer was there and ready extra early and did practice shots to make sure the lighting was perfect,” said Kenzie. She also got to have some extra time with the photographer to make sure she loved her photo options and choose the perfect pic. Kenzie, Simona, and Amber all spoke about how everyone was having fun during their sorority’s composite photo shoot. They helped their sisters with the drapes, making sure they were put on correctly and consistently, all while laughing about how awkward the drapes can be to wear. “We all had so many laughs about those ‘velvet shawls” said Kenzie. Some funny and embarrassing stories happened at their recent photo shoots as well. Simona shared how one of the girls showed up for her timeslot completely not ready. She had to get ready quickly in the back while the photo shoot was going on. Also, sometimes the GreekYearbook photographer would take big/little shots and small group photos for everyone to have fun and joke around. Organizing such a big project while coordinating so many women can unfortunately come with some problems or setbacks. Kenzie said that it took a while to organize all of the girls and get the ordered list together. She also did not love dealing with active vs. dropped members. 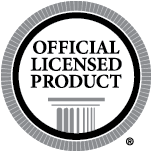 Ensuring that every active member was included and any dropped member was not included was difficult. Working on the design and production of the composite is a big part of the process as well. Amber spoke about how “changes to the composite were really quick and easy” and how “it was really smooth sailing” with GreekYearbook. Kenzie thought the process was great and she liked how her emails were responded to in a timely manner. She also mentioned that the message board notifications were super helpful. Simona also liked how using myGYB was super quick and loved seeing the proofs and making each edit until everything was perfect. “Make a schedule for all of the girls on a Google Sheet so it can be shared with everyone.” She also recommends scheduling 15 minute time chunks, asking women to arrive 10 minutes early, and using a check-in list to make sure that people were there. A common response when asked about choosing their favorite part of the process was seeing the finished product. Amber said that the overall ownership of the design and the feeling of accomplishment once everything was completed was her favorite part of the process. 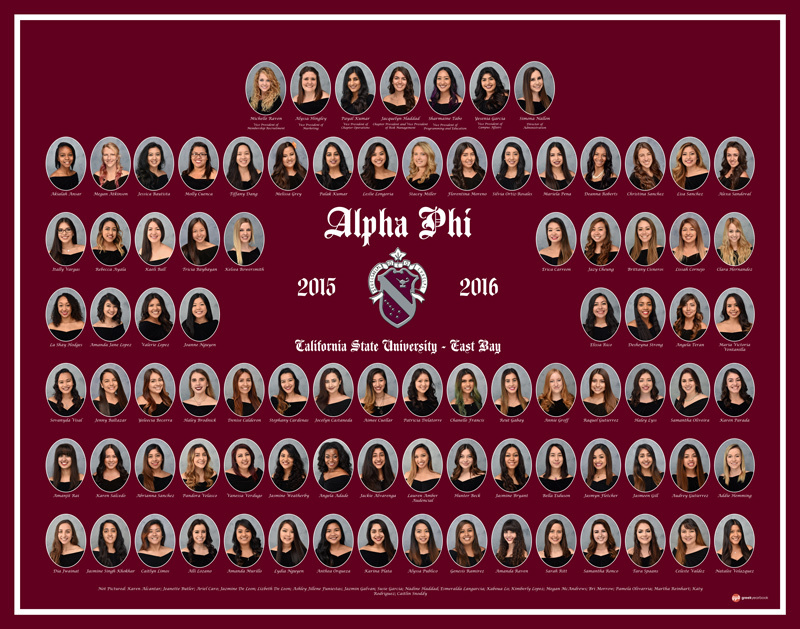 While it was evident that being a Sorority Composite Chair is a lot of work, each woman we spoke with discussed how important composites are to the tradition of her chapter. “Composites are very important because you keep them forever. The chapter keeps the large ones and brings them out during special events, like recruitment. In four years it’s amazing to see how much we’ve grown as a chapter and what we have accomplished,” said Simona. 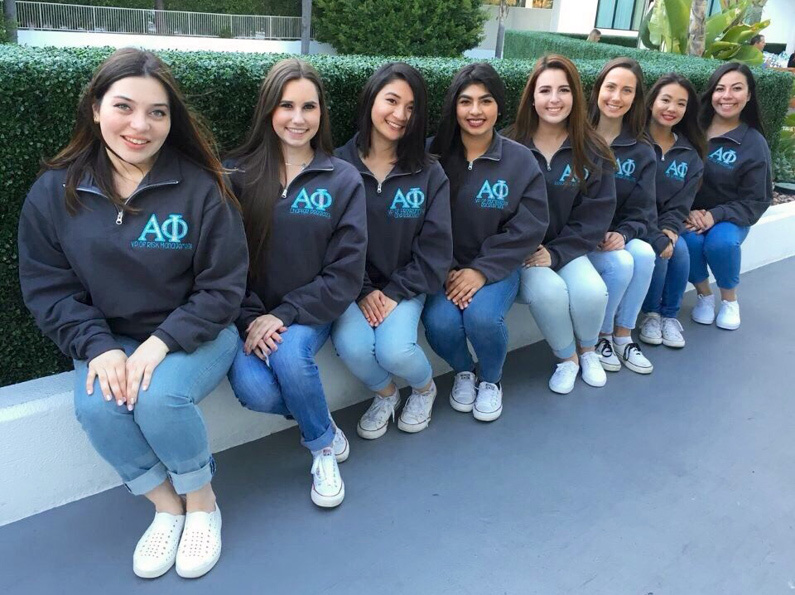 Simona also shared that Alpha Phi at California State University – East Bay has grown from 50 women to 70 in only a couple of years, and they are on track to grow to twice their current size in just a couple more years. 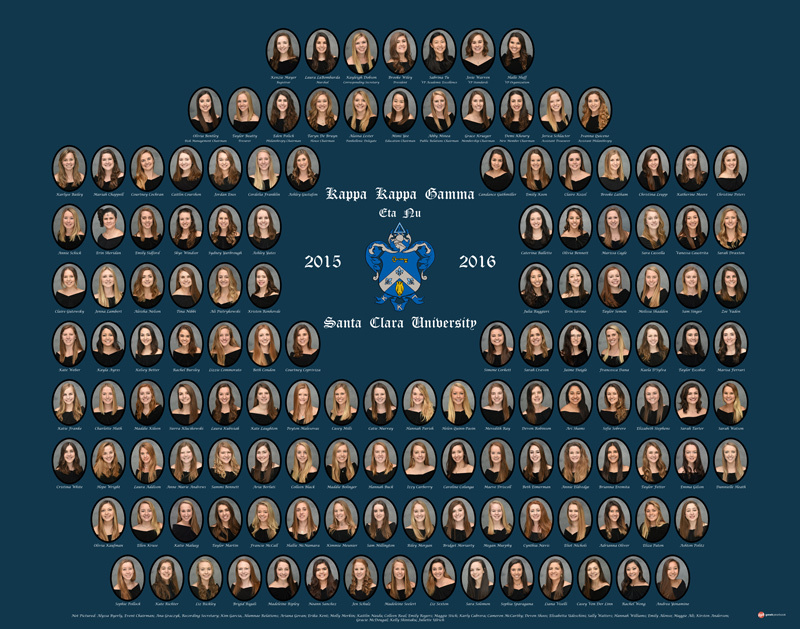 Seeing each sorority composite from over the years is great when their chapter founder and alumni come to visit. Being accountable for such an important tradition is a big responsibility and a lot of work. A big thanks to Amber, Kenzie, and Simona for sharing your experiences with the GreekYearbook team.